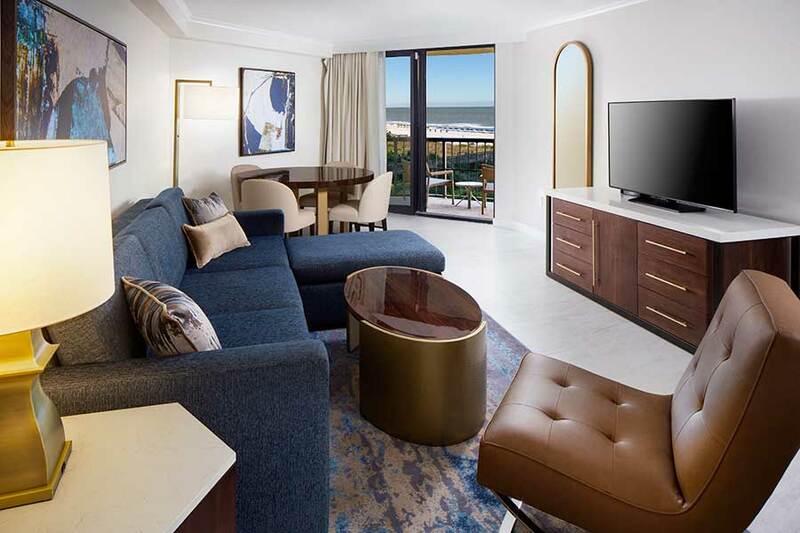 Hilton Marco Island Beach Resort & Spa, features 310 beautifully-designed, spacious guest rooms with select amenities and furnished private balconies offering the most stunning coastline views. Hilton Marco Island Beach Resort and Spa offers spacious and comfortable accommodations with a soothing contemporary theme perfect for memorable vacations. 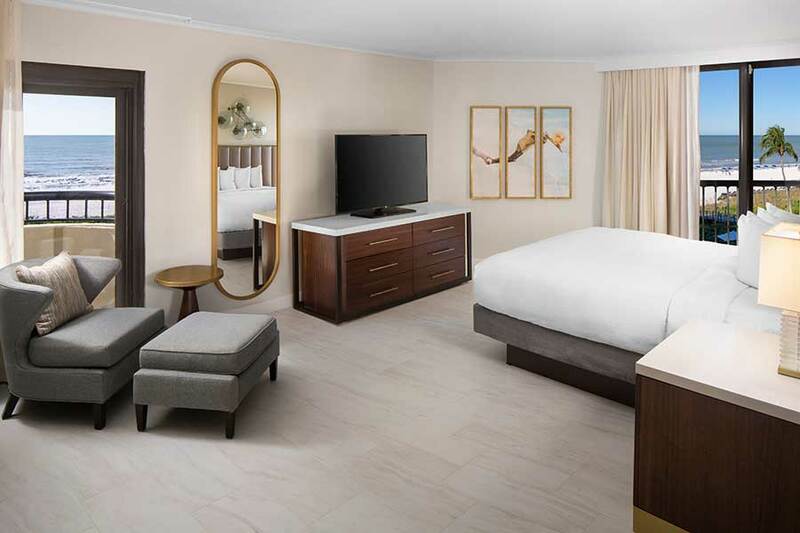 The room features a luxurious Hilton Serenity Bed, with LED lighting for bedside reading, 55” LCD flat panel TV, Cuisinart single-cup coffeemaker, sofa bed, in-room safe, refrigerator and work desk with a digital panel that allows guests to connect and charge several devices at once. The bathroom features a separate granite vanity area, Peter Thomas Roth bath amenities and a bathtub with deluxe showerhead. 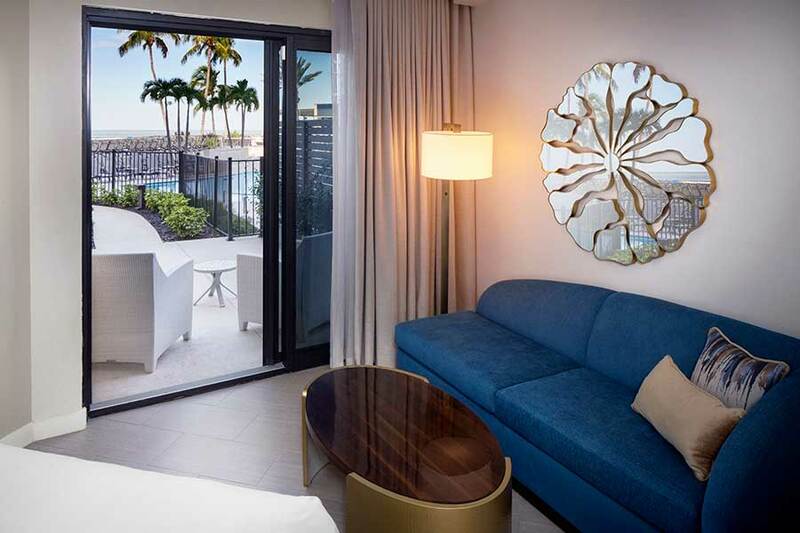 This King Bed Guestroom features a furnished balcony overlooking the Ocean. 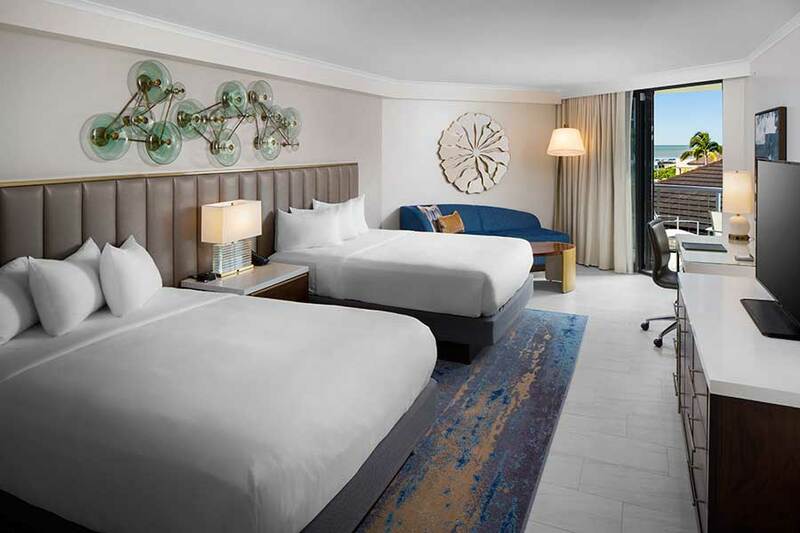 The room features a luxurious Hilton Serenity Bed, with LED lighting for bedside reading, 55” LCD flat panel TV, Cuisinart single-cup coffeemaker, sofa bed, in-room safe, refrigerator and work desk with a digital panel that allows guests to connect and charge several devices at once. The bathroom features a separate granite vanity area, Peter Thomas Roth bath amenities and a bathtub with deluxe showerhead. This 2 Queen Bed Guestroom features a furnished balcony overlooking the Ocean. 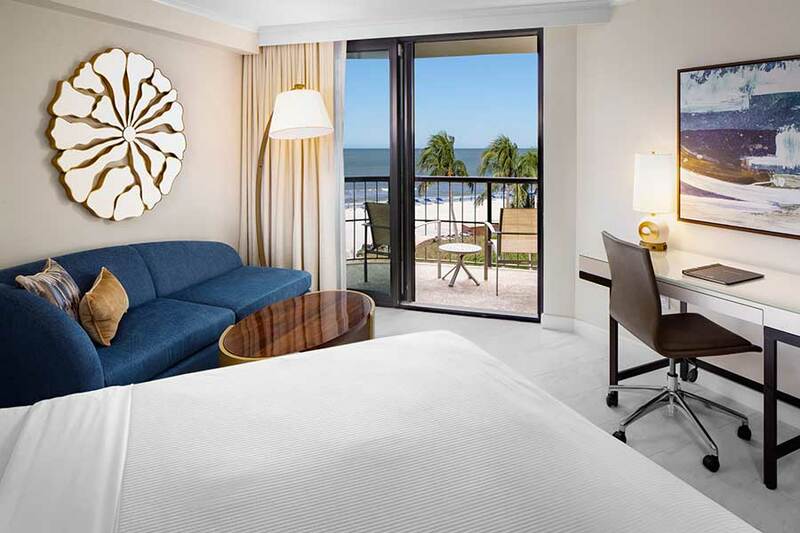 This King Bed Guestroom features a furnished balcony overlooking the Ocean. 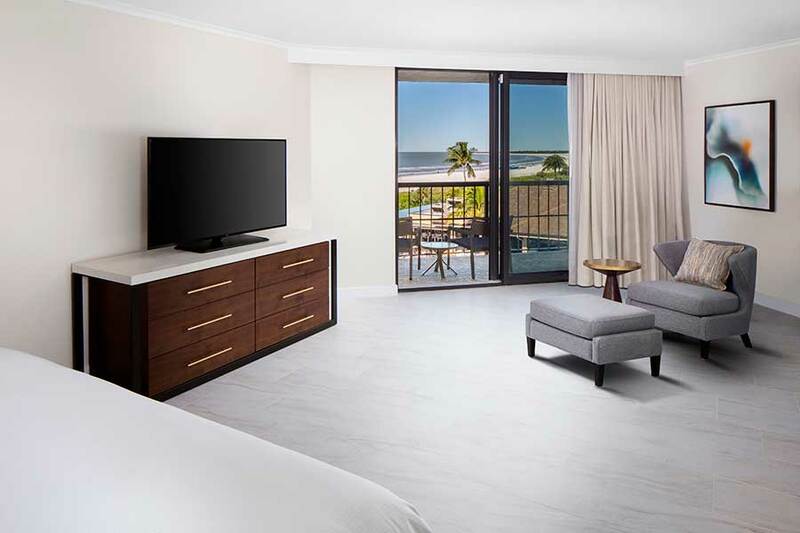 This King bed guestroom with an additional separate living/dining area offers views of the Ocean from the furnished balcony. 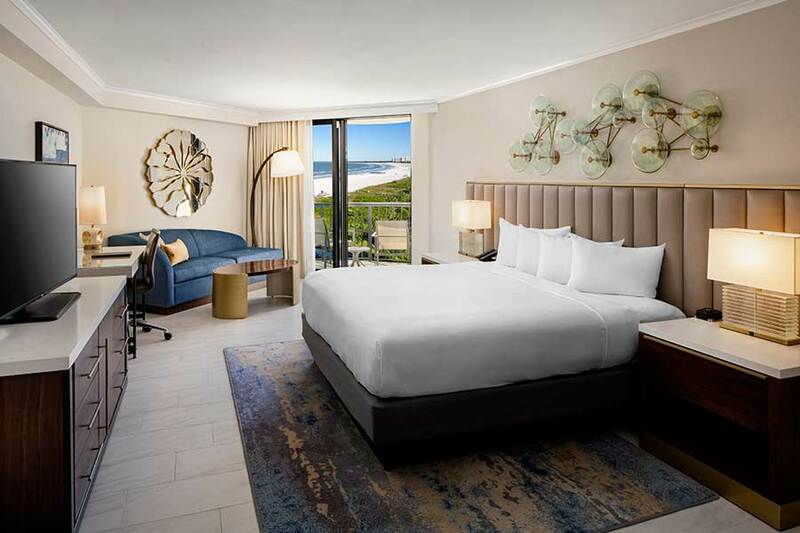 This King bed Ocean Front Guestroom with an additional separate living/dining area offers views of the Ocean from the furnished balcony.